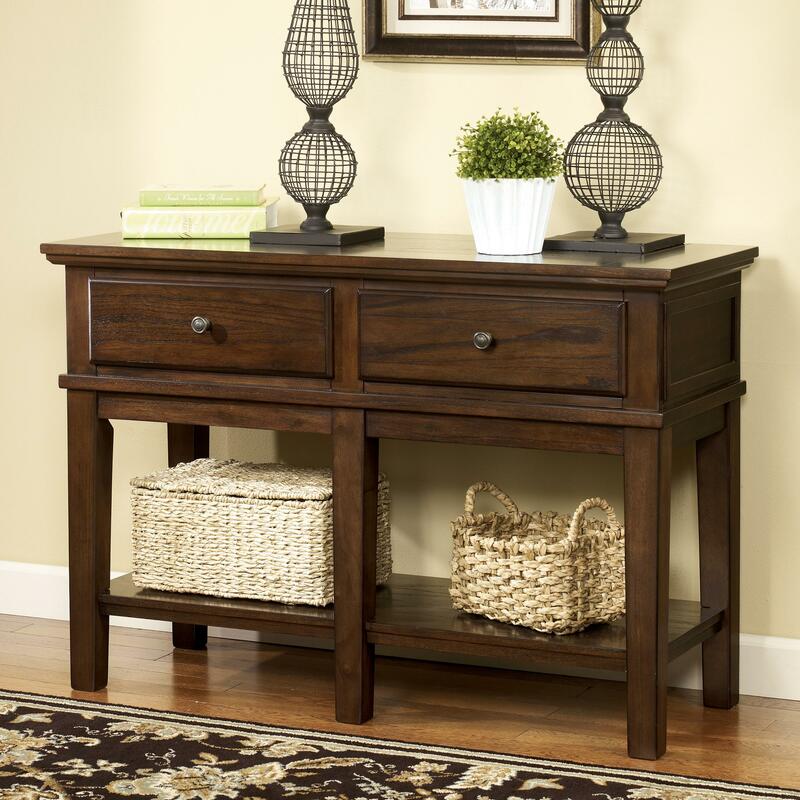 This console table offers versatile for a great piece in any room. 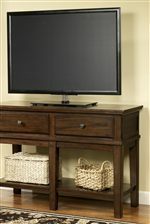 It makes a great sofa table in a living room, console table in a hallway, or a TV stand in an entertainment space. The vintage casual design of this coffee table gives it a stylish look for your every day decor. 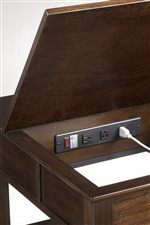 It is constructed of select veneers and hardwood solids in a burnished brown finish. The table includes two drawers for storage plus a spacious shelf at its base. The Gately Sofa Console Table/Tall TV Stand by Signature Design by Ashley at Michael's Furniture Warehouse in the San Fernando & Los Angeles area. Product availability may vary. Contact us for the most current availability on this product. 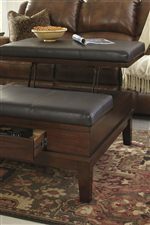 The Gately collection is a great option if you are looking for Casual furniture in the San Fernando & Los Angeles area. Browse other items in the Gately collection from Michael's Furniture Warehouse in the San Fernando & Los Angeles area.